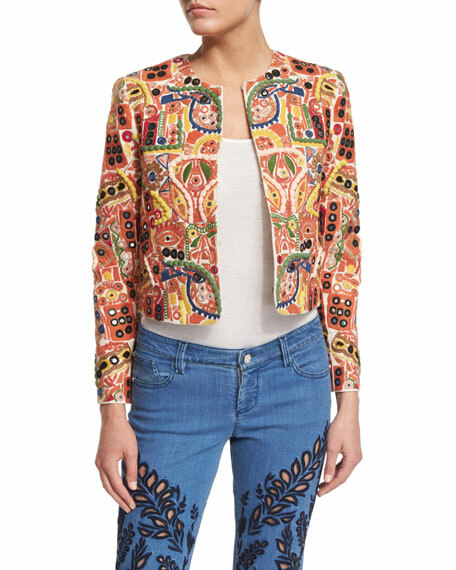 Alice + Olivia "Kidman" jacket with multipattern embroidery. Straight hem cropped at waist. 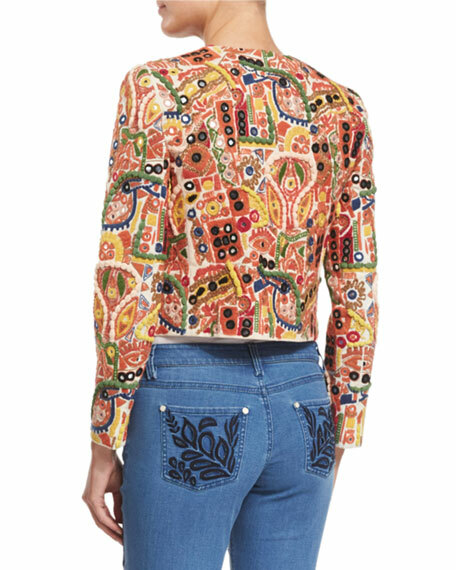 For in-store inquiries, use sku #1738154.